Matchy-Matchy, Twinning, Lookalike... whatever you prefer to call it, I've become such a fan. And scarves are some of my favorite (and one of the easiest ways) to do just that! And goodness gracious have you seen all the scarves that have been flying off of the sewing machine over at Will & Tess shop? To die for, literally to die for. Take these Halloween plaid scarves for instance. Mommy and me? Check. Plaid? Check. Great autumn colors? Check. Coziness? Check. Super coziness? Check. These scarves are made from the most snuggly flannel I've ever worn, and they fit perfect. There are so many reasons I love these scarves, quite a lot that I listed above, but another reason? The shop Will & Tess is owned and run by a fellow mom, and my instagram-friend Holly! Instagram is the most amazing tool for connecting, making mom friends (like Holly) and finding amazing shops (like Will & Tess), so thank you Instagram! I conducted a short interview (below) with Holly so you can find out more about Will & Tess! HI HOLLY, CAN YOU TELL US A LITTLE ABOUT YOUR SHOP, WILL & TESS? 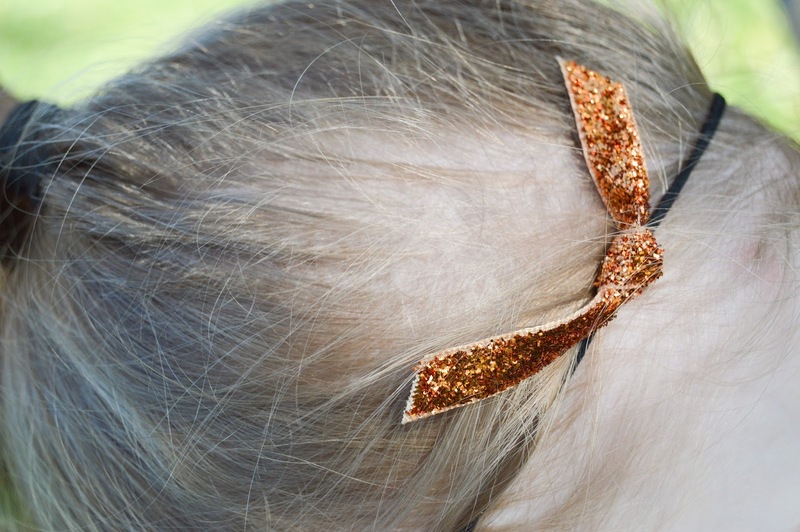 I make baby and children's scarves and matching hair accessories. They're mainly flannel, lots of plaid, but I really try to mix up the more stylish prints with ones that are fun for the kids. My shop is very seasonal, as you can imagine, which I like because it allows me to focus on my kiddos the other 7-8 months out of the year. WHAT WAS/IS THE INSPIRATION BEHIND YOUR SHOP? I started making and selling scarves on Etsy three years ago, when my son Will was a year old. I owned a business before I had him, and I was feeling the itch to be out in the world again. I was also bumming hard about how little selection there was for boys clothing in stores. It's 75% girl clothes, and boys get stuck with t-shirts and jeans and NO accessories. 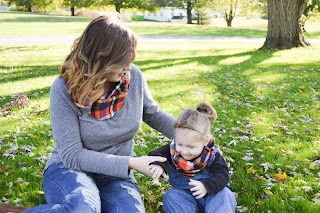 It happened to be fall (the best of all the seasons), so I tried making some baby scarves out of upcycled flannel shirts from Goodwill. It was harder than it sounds! 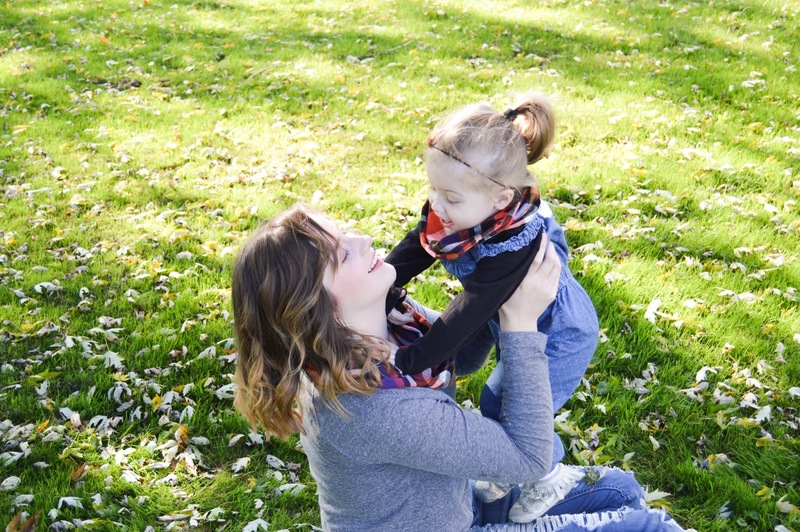 There was a lot of trial and error before I found the right dimensions to be comfortable for a baby or small child. I learned to sew from my mother as a little girl. She actually made most of our clothes growing up. I have such fond memories of sitting in our town's fabric store on Saturday mornings, picking out patterns and fabric. I still love selecting fabric. I have a problem. What you see in the shop is a mere fraction of what I have. WHAT HAS BEEN YOUR PROUDEST MOMENT AS A SHOP OWNER SO FAR? I feel incredibly grateful and a little humbled when people buy items for special occasions, like family photos, birthdays and gifts. As a mom myself, I know what kind of thought, time and money goes into selecting that outfit - it is more than clothing. It's the parent's hopes for the day, it's what they want to remember about that time in their life. That feels very special to me, and I take that responsibility seriously. WHAT SCARF HAS BEEN YOUR FAVORITE TO MAKE? 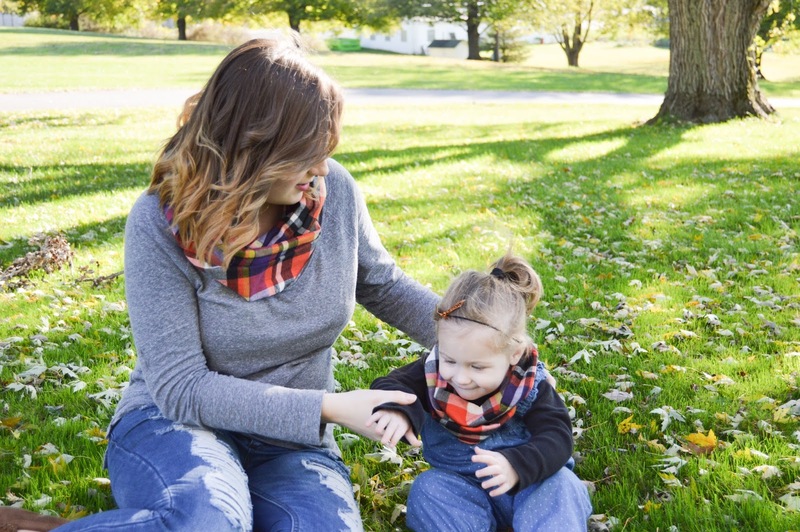 There is a darling for the buyers every year, and this year it's a three-way tie between the mustard ruffle jersey knit, the autumn plaid, and the orange & purple plaid. I love making any of them though; I guess any maker likes working with fabric that feels good. I love a good plaid, and the autumn plaid this year may have been my favorite. But seriously, any plaid flannel is my favorite. 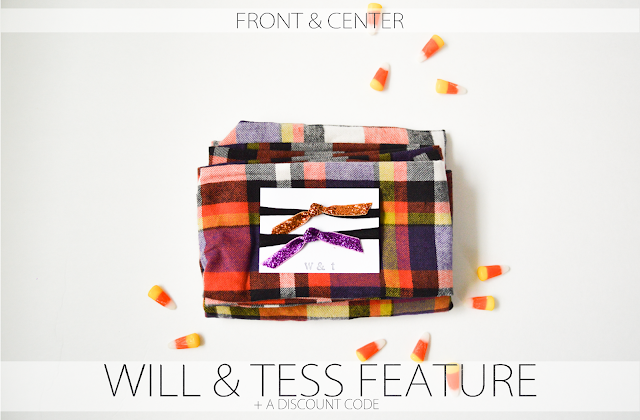 You know you want (NEED) some Will & Tess pieces, if you want these Halloween Orange and Purple Plaid scarves there are 5 more tot sized and 1 adult size left! But you must order before October 23 for delivery by Halloween (Holly will upgrade the shipping to priority 1-3 business days at no extra cost to you!). Oh and the Holiday Line drops on November 1st! 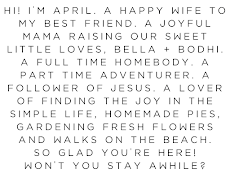 So why not go ahead and use this coupon code JOYFUL20 for 20% off! XO!